After nearer one month I am writing again on freelancing. Those who have been benefited from past five posts today’s post is for them. Previous posts are for new freelancers. Today’s post is the continuation of them. 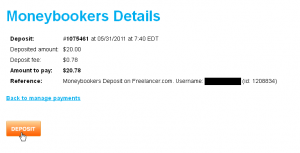 Today’s post is about how to deposit dollar from Moneybookers to freelancer account. Click here who missed the previous post. Now come on the selected topics. If you want to deposit dollar from Moneybookers to your freelancer account, the first precaution is you have the necessary amount of dollars in your Moneybookers account. If you don’t have a sufficient amount, deposit will not possible. 1. 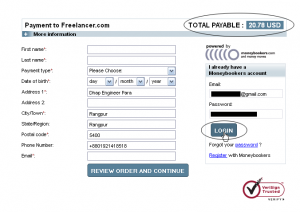 If you have sufficient dollars in our Moneybookers account, then log in to freelancer account and click Payments>Deposit Funds. 2. 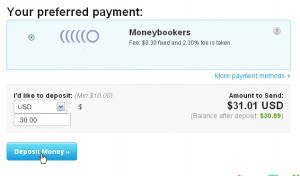 Choose Moneybookers from the payment methods. Then put the amount of dollar you want to deposit. (The minimum amount is 10$). At last click 'Deposit Money'. 3. 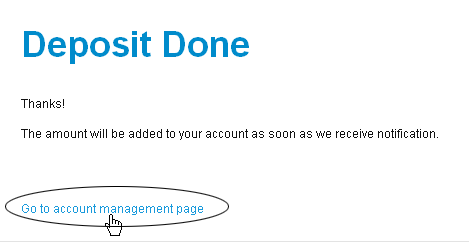 If all things are ok, then click Deposit. 4. 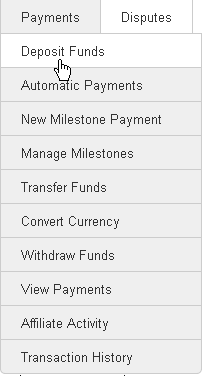 Now, the log in page of Moneybookers will appear and you have to log into your Moneybookers account. Look at the image below. 5. 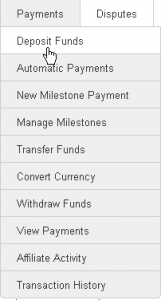 Now select the Moneybookers payment method (if the debit card is added to Moneybookers account, then you can deposit money from the debit card also). Then click CONFIRM. 6. 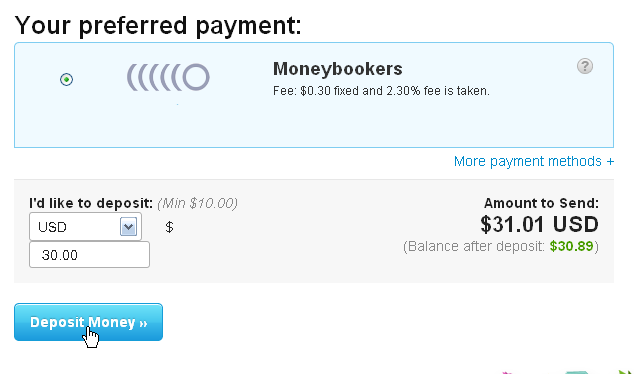 After confirmation, instant dollar will be added to your freelancer account from Moneybookers to your freelancer account. 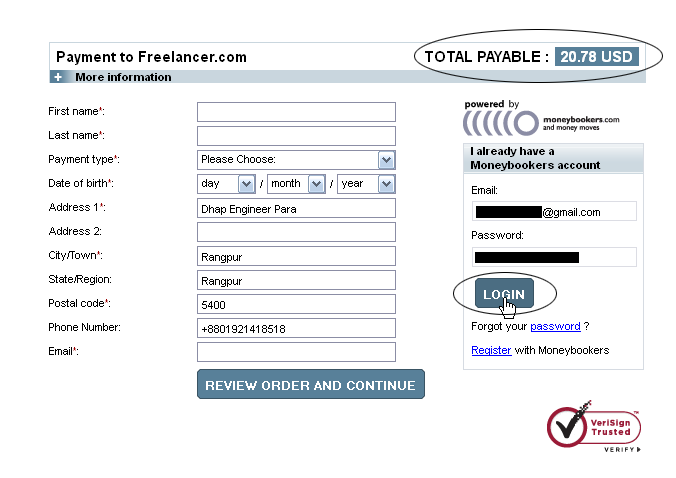 Two confirmation mails will be sent to your freelancer and Moneybookers mail addresses. 7. Now go to the Dashboard of freelancer and you will find the notification of the deposition of money. If you have any problem with this post, then inform me immediately. 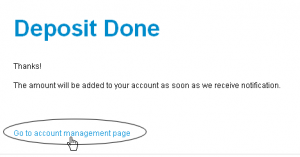 You should follow to prevent the loss of the earned money from quick withdraw. Those who are new in my posts, they will get the previous posts from here.